RATTLED: Jonathan Boland was on top the world, until one-too-many concussions sent him spiraling downward. 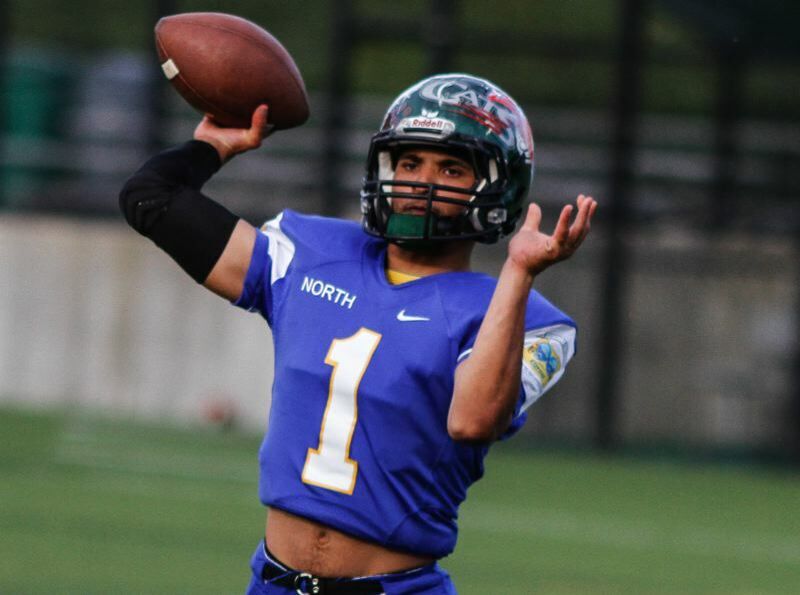 As Jonathan Boland's 2013 season went on, Parkrose High School's starting quarterback needed to bolster his Hudl account, the YouTube-like website where high school athletes post highlight reels of their performance — one way to get the attention of scouts. He already had a lot of attention. 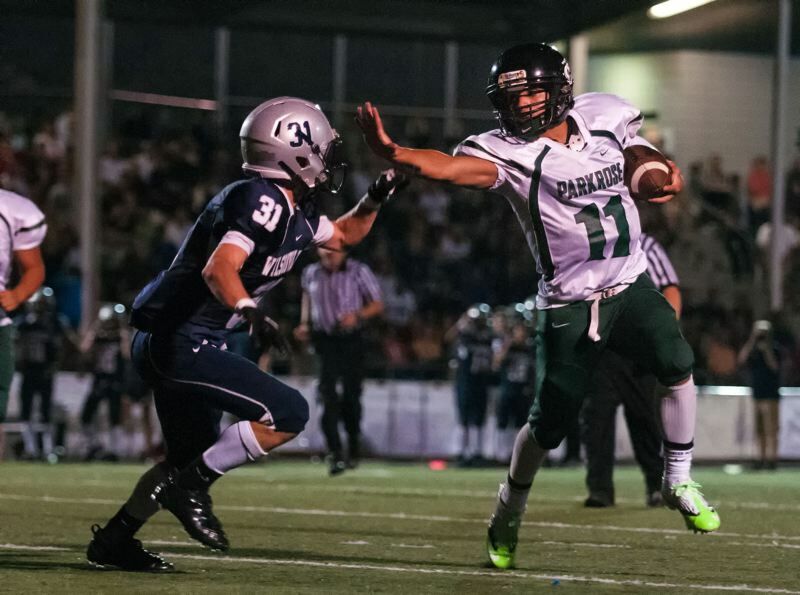 As one newspaper article noted before a 2013 game against Liberty High School, "Boland's early season performance has helped him draw recruiting interest from several Pac-12 schools. Washington State, Colorado State, Colorado, Utah, Oregon State and California have all shown interest in Boland…." In the fourth quarter against Liberty High Boland was moving the ball up the field, performing for the camera, hoping to put enough on tape to get a scholarship. He was in the shotgun formation on Liberty's 30-yard line. It was a quarterback draw, a designed run up the middle, into contact. A linebacker brought him down from behind, and as he fell, another linebacker landed on his head. Jonathan Boland's story is the subject the current episode of Reveal, the podcast of the The Center for Investigative Reporting and PRX. 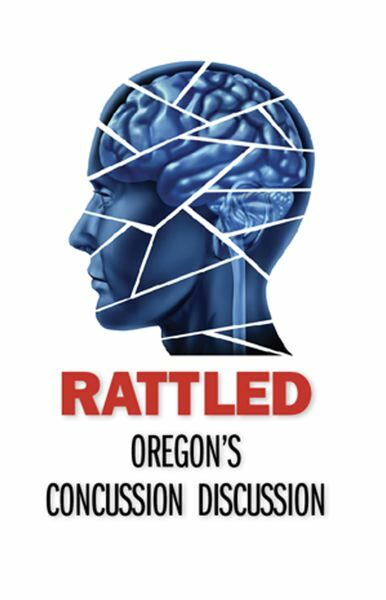 In Oregon, you can tune in Tuesday, Feb. 12, at 10 p.m. on OPB radio (91.5 FM), or access it online at www.revealnews.org, or subscribe to Reveal wherever you get your podcasts. A spectator at the game tweeted: "He's laying on the 25 yard line. Pretty quiet here. …"
Oregonian reporter Andrew Nemec tweeted: "When the pile got up, he didn't. EMT on site." Boland's mother, Renee, was in the stands watching. She hurried down to the field and held her son's hand. "I need you to open your eyes," she said. Boland has no memory of this moment. He doesn't recall telling his mother that he can't feel the lower half of his body. He doesn't remember hearing clapping when he's lifted onto a stretcher and taken away in an ambulance. Later, the hospital emergency room would fill up with fans. "Are you done, I mean, you're, are you done for good for football because of the concussions?" Detective Scott Chamberlain says. "So you can't even play if you wanted to?" "Oh, my head's banged up." After Boland suffered that season-ending concussion his junior year, some nights he cried himself to sleep, unsure if his scholarship hopes were over. He embraced the sport's mentality of "pain-is-weakness-leaving-the-body" as he dealt with his post-concussive symptoms, figuring it was OK to lift weights when he had "the little headaches, like the little baby ones" and not stop his workouts until "the big one comes." At that point, he said, he told himself, "OK, cool. Workout is over. Let me rest." He returned to football form, but his mother noticed a change. "I saw the decline in his work," Renee said. "He would struggle, especially with math." Boland began secluding himself in his room after football practice. "He always kept his light off or kept the light dim," she said. Worse, he stopped volunteering injury symptoms. During a game his senior year, Marshawn Edwards, his teammate and best friend, walked over to a trainer midgame and said, "Jonathan ain't right." Boland was pulled out of the game and the trainer, Jun Kawaguchi, told his father Jonathan might have a concussion. Boland showed up to school the following week and pretended to have gone to the hospital over the weekend. Kawaguchi called his mother to confirm the hospital visit. Renee didn't know what the trainer was talking about. 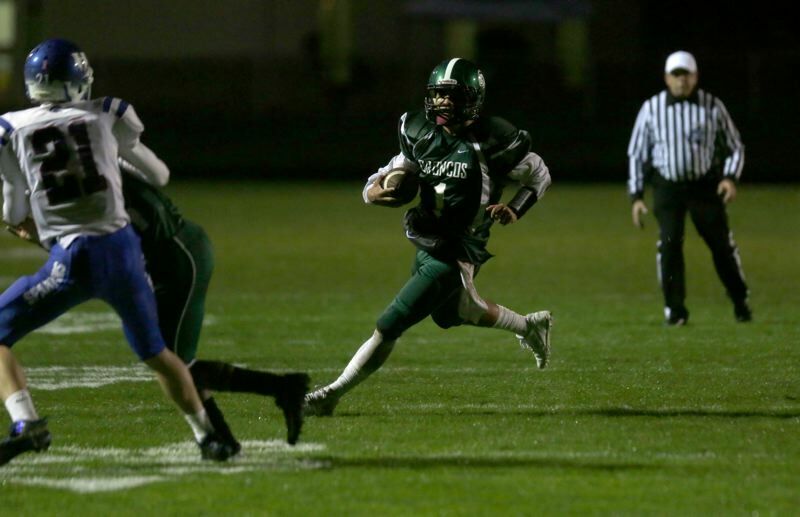 Still, his hard work seemed to pay off when Boland earned a full-ride scholarship to Portland State University. But a year in, Boland sat on his bed in the basement of a house near campus in the fall of 2016. He had made it through his redshirt freshmen year in college and was supposed to take the field this year. His teammates were upstairs prepping their luggage for an away game. They didn't know yet, but Boland couldn't travel with them. The trainers at PSU noted Boland's struggles with clearing concussion protocol. In an early season practice drill during his sophomore year, he remembers coming down on his head. He kept the pain to himself. The old symptoms returned: headache, dizziness, sensitivity to light, nausea, sluggishness, slow reaction time and blurred vision. That night he got up from bed and clumsily collided with a beam in his basement room. He vomited, twice. He took Advil to no effect. The next day he visited with trainers and mentioned the beam, but not the practice injury, hoping not to get sidelined. Documents note he "has vacant look and does not seem like himself ... seemed concerned over the number of previous concussions and asked if he would be able to RTP (return to play) after having 4 concussions." Almost a month later, trainers noted that he could run only 10 yards before the onset of a headache. PSU coach Bruce Barnum learned his star recruit wouldn't play again. "I was told, you know, because of the concussion situation he probably needs to walk away from the game," Barnum said. "I remember tears in my office when he couldn't play anymore." On Oct. 3, he called his mom and dictated a Facebook post announcing his retirement. "12 years of playing the sport I love has been a really hard journey," he said in the post. It continued, thanking Barnum for keeping him on scholarship. Boland initially received an outpouring of support on social media. But then there was a silence. And all was not right. Where once he was a star, a hometown kid who rose above, a gladiator who was cheered on, now he was an aimless young man navigating life. Boland had a scholarship but not a purpose. He didn't need to wake up early for practice anymore. He didn't need to wake up early at all. "You know that the feeling set in, of being done in football and not having a whole other life," Boland said. The grind was over and in its place was … school? He never felt like he was good at academics, at least not in the way he was good at football. Nobody ever showed up on Friday night to watch him beat algebra. He started abusing Xanax, an anti-anxiety prescription medication. He also seemed to retreat from the people who cared about him. He stopped speaking to his mother after the Facebook post. The concussions forced Boland into a negotiated settlement: a life devoid of conflict, sedentary and mostly in the dark. With marijuana and his pills, he felt like he could live again. "I just had the feeling I could just go do whatever I wanted to do," Boland said. "That's what Xanax does to you." A few days after ending his football career, he sat on his bed and lit up a blunt, a Backwoods cigar with weed in it. He was going to miss class again. He missed the adrenaline rush got from football and he called a play, like a quarterback in a huddle. Boland texted: "This JB. This Dig?" The number was Saadiq Calhoun, former cornerback for Central Catholic High School and teammate in Boland's new game. "Bring ya strap. If you want to hit this convent (sic) store right up the street," Boland wrote, "I got a plan for it." The next day, Oct. 5, 2016, Boland, a roommate and Calhoun's girlfriend, Emma Ogden, walk into a convenience store. The roommate thinks they have come to buy snacks and grabs a beverage from the cooler. Boland and Ogden know otherwise. "We used to go there all the time," Boland said. "I just went into the store and looked around, see if anybody was in there. Nothing was going on in my mind. I was like, 'Dang this is actually about to happen.'" A masked gunman, later confirmed as Calhoun, walked into the store, approached the counter, raised a gun to the clerk's face and said: "Open the drawer and give me the money." He also ordered the clerk to give him two boxes of cigars. "Anything can go wrong," Boland said, reflecting on the robbery later. "I mean, I could be in here for murder. One little slip of the trigger, bam." Boland, feigning heroism, asks the roommate if they should chase after the gunman. The roommate tells him that he doesn't think it would be a good idea. The three of them walk back home. In the next 48 hours, Boland robbed two more stores the same way, serving as the lookout while Calhoun acted as the gunman. "Did you get any of the money that came out of that?" Detective Darren Posey asks Boland. They are sitting in an interrogation room in downtown police headquarters. "I got just the Backwoods," Boland says, referring to the cigars from the first robbery. And from the second two, "Like 40 bucks, maybe." The district attorney's office charged Boland with three counts of robbery in the first degree and six counts of robbery in the second degree. 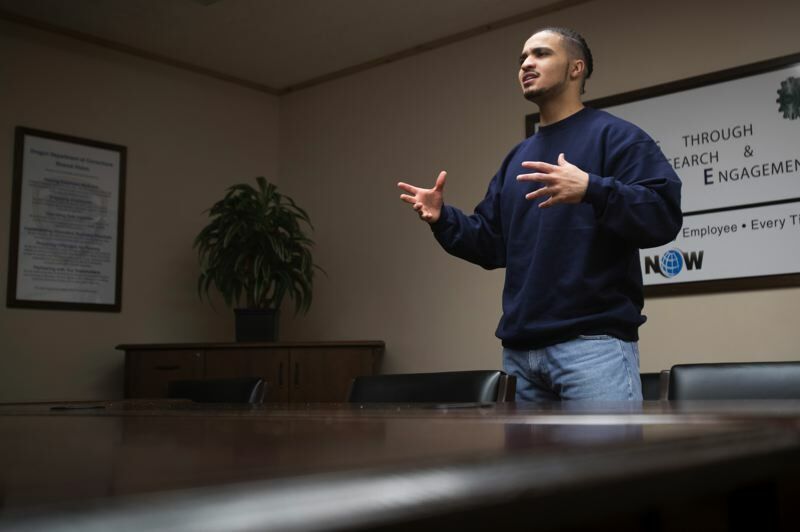 Under Measure 11, Oregon's mandatory sentencing law, he was facing just over 57 years if found guilty on all counts. Boland did not contest guilt. Instead, he admitted to committing the robberies, wrote an apology letter to the victims, and signed a consent for a search of his PSU locker, all during his interview with police. He never asked for an attorney. "I felt bad, like, I did this to these people," he said, during an interview last year. "I traumatized these people. I'm sorry for it." Joseph Schwartz is a criminologist professor at the University of Nebraska Omaha. He led a study that looked at 1,354 adolescent offenders to determine the association between brain injury and delinquency. "There's pretty consistent evidence indicating that brain injury is a significant risk factor for delinquent behavior," said Schwartz, who was asked to review Boland's case for this article. "We're seeing that brain injury results, temporarily at least, in lower levels of self-control, which in turn is resulting in increased levels of delinquency. "Jonathan on the other hand had multiple brain injuries over that period of time. And so those injuries could definitely accumulate over that course of time. And we can see that they're much greater than the sum of their parts" Schwartz said. Renee spoke to her son's public defender, thinking the transformation from star athlete to criminal was too sudden to be explained without looking at not only the concussion that took place 47 days before the first robbery, but the ones that preceded it. "What's portrayed in these robberies is not my son," she said, sitting in her living room during an interview last year. "That's not him." Boland's public defender had him evaluated by a neuropsychologist who concluded, "His actions at the time of the alleged offense were a product of his post concussive symptoms (likely exacerbated as a result of multiple concussions over the past few years), depression, substance use/intoxication, and negative peer influence (while in a diminished state of functioning)." One Portland prosecutor, in an email to a colleague in the district attorney's office, wrote: "People are blaming football for committing a crime? Give me a break." Renee thought concussions had something to do with her son betraying himself, but she also began to see how the loss of identity broke him. "The world exalted him and, in so many ways, a lot of it was right because he's a good person. But that exaltation in so many ways destroyed him. He couldn't handle it when he got to a place where he had to start over." For Renee, the concussions aren't the only part of it. She sees ways she and her husband failed their son. "There's one thing. It's reminding them that they are more than an athlete. You are more than a football player." Boland, himself, is not saying that his head injuries prompted the robberies, but does point out that had he not had the concussions, he would have been practicing and playing football instead of hitting up convenience stores. Jonathan Boland sat alone on the banks of the Columbia River and thought about how it felt being free again. It was fall 2017 and he was out on bail, awaiting sentencing. Boland was near Portland International Airport. He smoked a Backwoods cigar with weed in it. "It was just good to clear my head, get away from everybody and feel like I'm free again," he said. Boland was supposed to stay away from drugs as part of the conditions of his release, but he was contemplating violating his bail in another way. He could stay here, in Portland, in the pocket, and take the sack that was coming. Or he could scramble onto a departing flight, or rush north into Washington state, tuck and run, and be the outlaw that everyone thought he'd become. Overhead, planes made their final descent to the airport. If he left now, he would have a weekend's head start before anyone knew he was gone. It had been almost a year since he played football. He had been getting tackled every fall since sixth grade. Since he turned 15, he had a concussion almost every year, but not this year. Not anymore. So he came to a decision, out on the river, which changed his life forever. He finished his blunt, picked up a little speaker playing music nearby. He wasn't an outlaw. And he wasn't a gladiator anymore either. 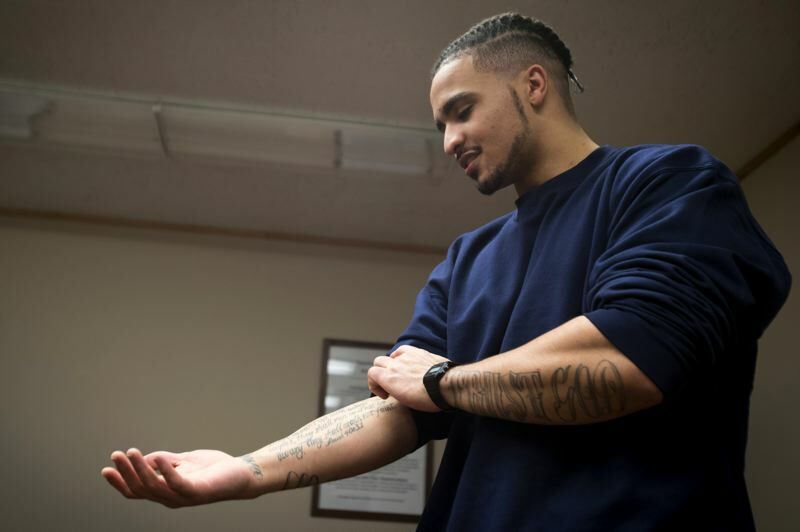 "Football was one life," Boland said last month, sitting above the cellblocks in a conference room at Oregon State Penitentiary, a year into his seven-and-a-half-year sentence. He accepted a plea deal, mitigating down his charges on one first-degree robbery to serve the minimum sentence of 90 months without the possibility of early parole. "Now," he said, "I'm getting a second chance."